I have a 4-year-old who is in love with My Little Pony if allowed she would do nothing but watch my little pony all day every day. for my sanity, we manage to get her to watch other things from time to time but nothing will be as beloved as my little pony in this house so naturally, we have more than our fair share of my little pony toys cluttering around the house. they are amazing little things that seem to multiply every time i turn around it seems like we have acquired more of those tiny little plastic figures. 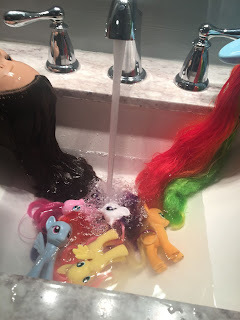 The only problem is for some reason no matter how often I try to keep up with brushing pony hair with my daughter and having pony spa day where they get brushed and baths they always end up tangled and matted beyond recognition. I've tried my hardest to keep this from happening but I have no idea why it keeps happening I'm working on several different ideas to save their hair. 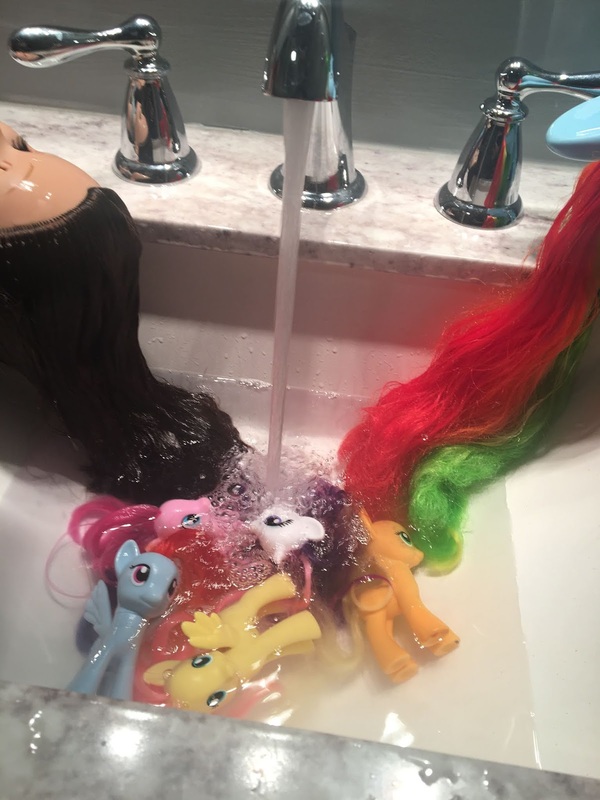 my daughter becomes very attached to all of her toys especially the my little pony ones so anything I can do to extend the life of her beloved my little ponies will be a major help.